This video explains very good and easy what “discipleship” means. It is also about what “church” should really look like and what it should be not. This entry was posted in News-English and tagged Discipleship on September 5, 2015 by Administrator Message-For-You.net. This entry was posted in News-English and tagged Discipleship,Effective Prayer,Gift of Tongues,Pentecost,Personal Pentecost,Powerful Prayer,Praying in Tongues,Singing in the Spirit,Singing in Tongues,Speaking in Tongues,Spiritual Breakthrough,Tongues,Tongues Of Fire,Worship in Spirit and Truth on May 22, 2015 by Administrator Message-For-You.net. Hier empfehlen wir Dir interessante Filme. 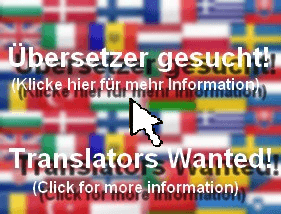 Unter der Kategorie “Alle Sprachen (Wähle Deine Sprache! )” findest Du die evangelistischen MFY-Videos (in vielen Sprachen). Und im Media Center kannst Du die Videos kostenlos herunterladen. Auf der Internetseite JesusFilmMedia.org gibt es den bekannten “Jesus-Film” zum kostenlosen Anschauen und Herunterladen – auch in vielen anderen Sprachen! Viele weitere Infos unter JesusFilm.org. Christliche Videos, Filme, Kurzfilme etc. This entry was posted in News-English and tagged Christian Films,Christian Motion Pictures,Christian Movies,Christian Videos,Discipleship on May 22, 2015 by Administrator Message-For-You.net. This entry was posted in News-English and tagged Discipleship,Evangelism,Mission on May 22, 2015 by Administrator Message-For-You.net. The Cross is your starting point. And if you have given your life to Jesus, then you have made the right decision! And now it continues. When you gave your life to Jesus, at that moment you (figuratively speaking) took your backpack and emptied it. In your backpack there has been lots of trash that you don’t need anymore. And you have said, “Jesus, I give it all to you!” You handed all of that to Him. And as I’ve said, there were things in it, which you don’t need anymore (e.g. guilt, emotional wounds etc.). What Jesus wants to do now is: He wants to fill your backpack with new things! He would like to give you things you need, such as travelling provisions for your journey in your new life. The order of these steps is not important! You can be baptised first and then get a Bible. Or you could get a Bible first and be baptised later. Decide for yourself (also in prayer with God), what you should do first. But: All of these steps are important for following Jesus. Another thing: These steps are not necessary for your salvation. In other words: If you have given your life to Jesus (as I explained in the first part), then you’re saved. But these steps are steps out of obedience. You should take them if you want to obey Jesus. Because He does not just simply send you on the journey, He provides your travelling provisions. These steps are to be taken on a voluntary basis, but Jesus is asking you to take them. But you want to follow Jesus. He is the Good Shepherd, and you want to hear His voice. You want to know what plans He has for you personally (e.g. your personal calling). You want to know what He is saying about you (e.g. your identity in Him). And you want to share experiences with other Christians and, for example, ask them: “What did YOU experience with God?” or: “What does this passage of the Bible mean?” etc. That’s enough for now about discipleship… Be blessed! On our website you will find more helpful information about following Jesus. You’ll also find free downloads, material to share with others and much more! Now we wish you much joy and many blessings on your journey with Jesus! This entry was posted in News-English and tagged Discipleship on May 15, 2015 by Administrator Message-For-You.net. This entry was posted in News-English and tagged Baptism,Baptism in the Holy Ghost,Baptism in the Holy Spirit,Christian Baptism,Discipleship,Holy Spirit Baptism,Questions about the Holy Spirit Baptism,What is the Baptism with the Holy Spirit? on May 4, 2015 by Administrator Message-For-You.net. This entry was posted in News-English and tagged Baptism,Baptism in Water,Baptism of Children,Believer's Baptism,Biblical Questions and Answers,Christian Baptism,Discipleship,Infant Baptism,Questions about the Water Baptism,Water Baptism,What is the Baptism with Water? on May 4, 2015 by Administrator Message-For-You.net.